Resistencia Relativa (RR) is a San Francisco Bay Area (Occupied Ohlone Land) based collective of activists, organizers, students, educators, and artists created in support of the Central American exodus in their fight for safety, migration, asylum, and life. We are determined to work together to sustain migrant-led initiatives such as autonomous shelters, kitchens, and organizing. We aim to create a network that is capable of supporting our relatives and communities beyond borders, through the process of migration, asylum, and relocation within the United States. We are supporting our relatives and families in their struggle for self-determination, freedom of movement, and dignity. We are collectively raising funds to secure a safe living space for caravaneres to organize, cook, build community and receive and distribute donations. 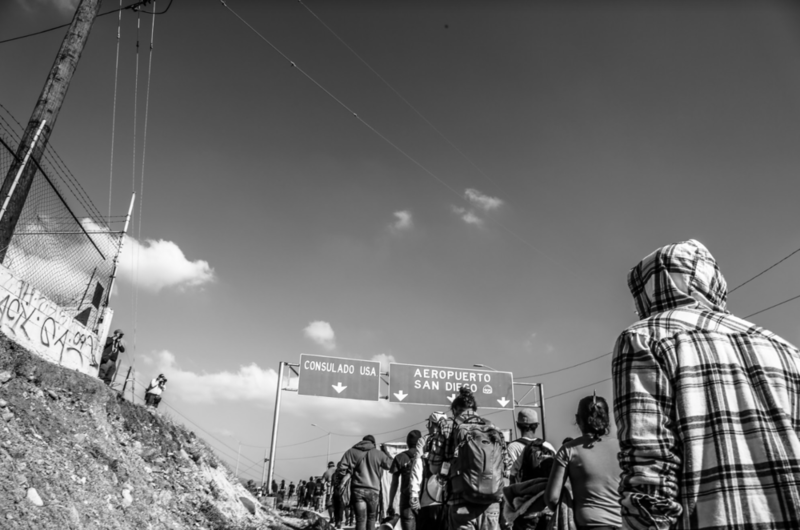 In the precarious environment of the US- Mexico border, it is crucial for refugees to have access to a stable, long-term, and migrant-organized space. 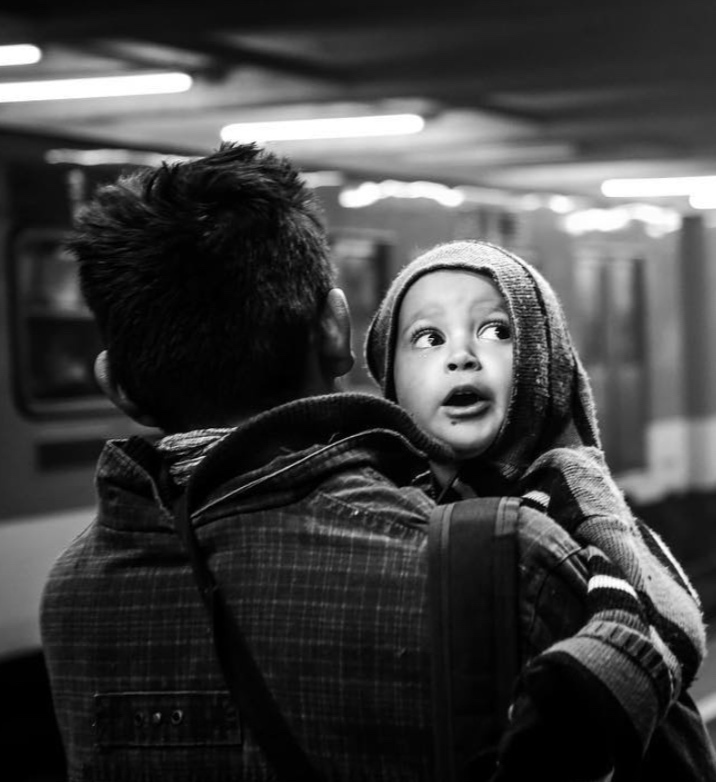 We connect asylum-seeking migrants and those detained to professional legal help. This effort is a direct response to the high demand to assist migrants in finding housing, applying for asylum, and connecting to sponsorship programs. We provide daily support south of the border, this includes responding to day-to-day needs of food, transportation, and housing. We are on the ground in solidarity with our relatives facing the many forms of hostile and reactionary forces. We are building a movement that aims to amplify the voices of the Central American caravan in the global consciousness. Our blogs, compelling artwork, and social media accounts document the exodus, discuss the needs of migrants, and share their stories. Educators, students, parents, and members of any community can contribute to this movement by raising funds for the caravan. Help our media team raise money for the caravan and amplify the voices of our refugee relatives. We welcome all artists, photographers, filmmakers and designers to join this movement. Sign up to support the caravan on the ground. Tasks include distributing food, clothing, medicine, and supplies, as well as transporting donations on either side of the border. Monetary support is crucial to our work and provides refugees with material aid on a daily basis in the form of food, medicine, shelter, bail funds, and crisis support. We are students, community members, parents, and organizers in direct communication with the exodo and intend to respond to their needs in our efforts on the ground and remotely. All funds we receive go to migrant led initiatives and support. Please make a donation today in solidarity with our migratory relatives.